Hello! 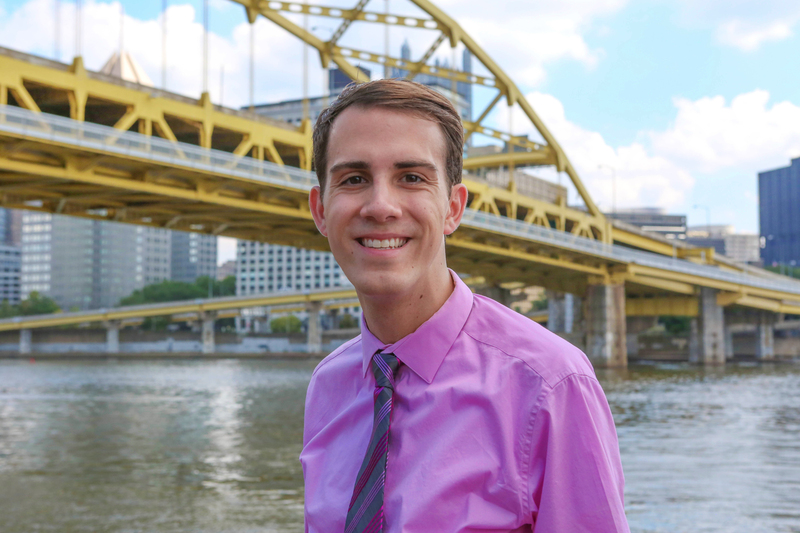 My name is James Santelli, and I am a TV news producer for KDKA-TV (CBS Pittsburgh). My previous job was working in Youngstown, Ohio, as a reporter for WKBN 27 First News and a weekend anchor for 33 WYTV News. SPORTS EXPERIENCE — I have covered marquee sporting events around the world, including the Olympic Games, NCAA Tournament, Stanley Cup Playoffs and MLB Playoffs. My work has appeared in such outlets as PiratesProspects.com, Pittsburgh Sports Report, Pittsburgh Magazine, PittsburghPenguins.com, Clippers.com, Neon Tommy and NBCOlympics.com. COLLEGE — I graduated from the University of Southern California, majoring in Broadcast and Digital Journalism (Major GPA: 3.98) and minoring in Sports Media Studies at the Annenberg School for Communication & Journalism. TELEVISION — At USC, I spent three years covering sports for Annenberg TV News, eventually producing nightly sportscasts as Associate Sports Director. I also reported stories, wrote copy, edited video and created graphics. For Time Warner Cable SportsNet, I worked as a production intern for Lakers and Dodgers studio shows — cutting b-roll, logging footage, producing game highlights and assisting in on-site shoots. WRITING — For two years, I ran the sports department of Neon Tommy, the nation’s most-trafficked online-only college publication. In the summer of 2012, I worked as an intern for NBCOlympics.com, operating from the 2012 Summer Olympic Games in London, England. In 2013, I covered the Pittsburgh Pirates as a beat writer for PiratesProspects.com. I also worked as a staff writer and multimedia intern for the Pittsburgh Penguins, following the team’s playoff run and leading coverage of Development Camp. AWARDS — My article on the Pirates’ defensive shifts won a SABR Analytics Conference Research Award for contemporary baseball analysis and won 2nd place for the Greg Spira Baseball Research Award. I won an L.A. Press Club award for Sports Photography by snapping this photo of Arizona State linebacker Vontaze Burfict. I was also the proud winner of the Chick Hearn Memorial Scholarship and Allan Malamud Scholarship during my junior year at USC. ANNOUNCING — I was a public address announcer for three years at Fox Chapel Area High School in Pittsburgh, Pa., calling mostly volleyball, field hockey, lacrosse and basketball. At USC, I broadcasted play-by-play for football, basketball, baseball, soccer and volleyball. You can reach me by email, on Twitter at @JamesSantelli, or via my LinkedIn profile. I have extensive experience going live and on-air, in television news, radio and sports play-by-play.